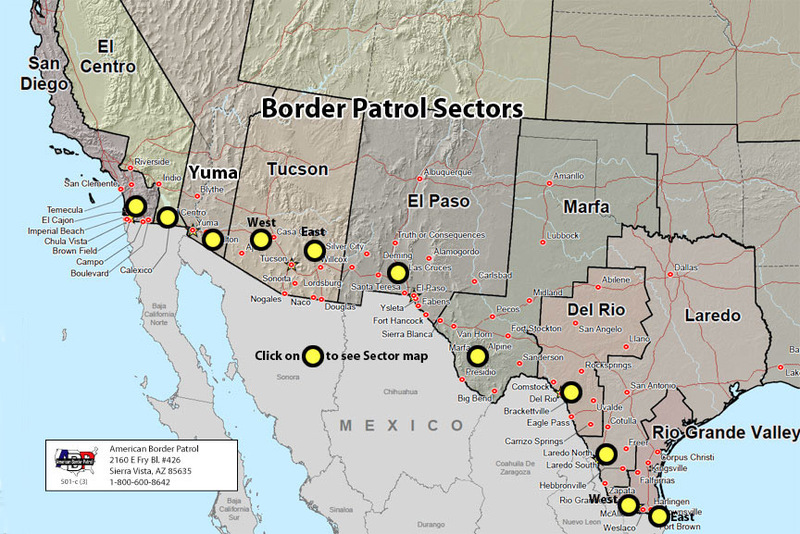 The current heated debate about security at the U.S.-Mexican border offers few new ideas or analyses. Despite fluctuations in the number of illegal crossings, the problems of illegal entry, drug and human trafficking, etc., opposing camps appear further apart than they have at any time over the last 30 years. The main reason for this, as I see it, is the considerable gulf between the assumptions people hold, which makes compromise impossible. This vast separation is an expression of differences in how people view the problem. A priori points of view insure that they are very unlikely to agree about any proposal. Many of those who are against tight border security measures, such as walls, military-style check-points, efficient deportations, and personal ID systems, simply don't want any kind of border limitations at all. For them, divisions between nations and peoples are artificial constructs, based on bogus national, racial, ethnic or economic distinctions which hinder freedom of movement or commerce. The notion of unregulated borders, "international" citizenship, and unlimited quotas seems perfectly reasonable to such people. They will make arguments to claim that these are actually good things. Many of those who favor such measures, on the other hand, insist on the priority of citizenship, legal residence and lawful conduct, and point to the social and economic costs of entertaining large numbers of uncounted and unwelcome "refugees" inside our borders. They view the concept of "sanctuary" as an expression of lawlessness. In order to address any measures to control our southern border, there has to be some agreement about just what illegal immigration is, and whether it is a good thing in itself. If you begin with the assumption that illegal immigration is a good thing, it's very unlikely that you will favor any kind of barriers--physical or bureaucratic--which threaten actually to prevent people from crossing illegally. If you begin with the assumption that illegal immigration is a bad thing, the question is less about "how" you go about preventing it, as long as it works. In a very real sense, those who oppose barriers, oppose them in principle. For them, walls are a sad expression of the failure of nations to reach common understandings and agreements. For them, walls are bad whether or not they actually work; they will criticize them both as futile, and as immoral; walls that work are bad, while walls that don't work are a waste of resource. But the point is they don't want barriers in the first place, and will use any argument to support this position. While it is true that no barrier mankind can construct is indestructible, there are degrees of security which can be achieved. If you accept the notion that illegal movement is wrong, and should be interdicted, then whatever reasonable measures can be employed, should be. Those who take this position are less worried about the symbolic significance of a wall between nations, as long as the solution is reasonably successful at preventing the crossing. What's most frustrating, is that both factions routinely summon the most extreme, and most irrelevant versions of the meaning and consequence of illegal immigration, in an attempt to sway public opinion. On the one hand, President Trump invariably tells us that lax border security poses a threat to our national security, conjuring up visions of drug gangs, ruthless felons, political terrorists, and human traffickers ("coyotes"), to whip up fear and consternation. While there is no doubt that drug trafficking occurs, and that some relatively small percentage of illegals is potentially dangerous, these aspects are less important than the crucial issue of mass uncontrolled refugee-ism. Such visions are inflammatory, and may play well on television, but they really aren't the point. On the other hand, the immigrant lobby enjoys portraying the situation as an humanitarian crisis, of hoards fleeing political persecution, babies dying in the desert, and the cruelty and violence of interdiction. They frame the debate as an obligation which Americans have, to "save" oppressed and persecuted "refugees." Rather than being concerned about hundreds of thousands (even millions) of illegals inside our borders, they're delighted with the fact, and would like to see more resources devoted to making their lives easier, of providing them with the "American dream" of a better life, with the same opportunities and freedoms as native citizens. Whatever your position, it seems reasonable to acknowledge that unless or until we're willing to have an open debate about the meaning and significance of illegal immigration, we won't be able to agree about the issue of border "security." Personally, though I can understand why people might theorize about the advantages of open borders, I've not been able to imagine a narrative which would entail a complete breakdown of control. What would happen if we abandoned our I&NS system of quotas and regulation, and simply stood by and watched as humanity flowed flagrantly from point A to point B, without regard for national borders? I believe that legal immigration is a good thing, but illegal immigration is not. Having said that, I would clearly find it difficult to compromise and discuss "security" with someone who thought the opposite.